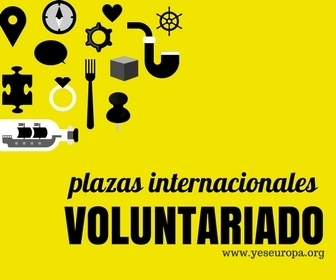 Si estás planeando hacer un SVE, hoy te traemos varios proyectos que van a ser presentados en mayo que están buscando voluntarios. La entidad que los lleva a cabo es AFS Interkultur. Serían en distintos sitios de Dinamarca y empezarías como muy pronto en Agosto en caso de que el proyecto sea aprobado y seas uno de los elegidos para disfrutarlo. – Brenderup Højskole (2013-DK-3): “Project environment: The folk high school is placed in Brenderup – a small village with a couple of groceries, drug stores, schools and a library. Brenderup is close to both beach and forest. We often arrange activities away from the high school. The type of activities depends on the season, but examples of activities are going to the beach for a swim or touring on the school bikes.” Si quieres saber más de este proyecto pincha AQUÍ. – Ranum Efterskole (2012-DK-15): “Project environment: Ranum Efterskole is situated in the north of Denmark 3 kilometers from the big inlet, Limfjorden. From the school there is a great view to Vilsted Lake which has good possibilities of canoeing etc. Nearby you can also experience Vitskøl Kloster which is an old abbey. It was founded in ap. 1100. The school was founded 8 years ago and has growm from 85 students to 290 students next year. We have old beautiful buildings and good possibilites of a varied range of leisure activities.” Si quieres saber más de este proyecto pincha AQUÍ. – Snoghøj Højskole (2011-DK-20): “Project environment: Snoghøj is situated in the heart of Denmark, on the outskirts of historic Fredericia, Denmarks largest seaport. The school lies next to the sea in very beautiful natural surroundings. It was founded over 90 years ago and has kept pace with developments in modern education, with information technology playing an important part” Si quieres saber más de este proyecto, pincha AQUÍ. Muchas plazas SVE en Dinamarca para 2015! ¿Quieres hacer un SVE de 5 meses en Perugia?